When Peter Kemmis Betty was seven years old his father took the family to Château d’Oex in Switzerland, a less expensive holiday destination in the 1920s than many places in England. This fostered his love of mountains, birds and all fauna and flora; the last preoccupation almost certainly saved his life. Taken prisoner by the Japanese at the fall of Singapore in February 1942, he and Alec Ogilvie of the 1st Gurkha Rifles cultivated a vegetable patch to supplement the meagre rations of the Changi prisoners, those in hospital and the Gurkha soldier captives held elsewhere on the island. In consequence, he was never included in a draft to work on the Burma railway. Afterwards, he acknowledged that the Japanese did unspeakable things to Commonwealth prisoners but effectively left him alone. On reaching his 100th birthday this year he received a card from the Queen and to his unashamed delight also from Joanna Lumley, herself a Gurkha officer’s daughter and longstanding supporter of the hill men from Nepal, remarking that if he could still attract interest from such as she he could not be doing too badly. A man of impeccable, almost Edwardian manners, who cherished a bygone age, Kemmis Betty abhorred those who spoke mainly about themselves. Yet he was deeply interested in others, especially anyone in need of help or support. Commissioned from Sandhurst into the 2nd King Edward VII’s Own Goorkha Rifles in 1936, he took part in operations on the North West Frontier and in Waziristan with the 2nd Battalion (2/2nd GR) in 1939-1940. On return to base at Secunderbad, training in desert warfare in anticipation of active service in Egypt’s Western Desert against the Italians was interrupted when the battalion was ordered to join the 11th Indian Division in Malaya and posted to Ipoh in the north of the peninsula. Despite the mounting threat of Japanese invasion, Ipoh remained in peacetime mode. The next race meeting was the current excitement and the officers were permitted to attend as long as one of them reported by telephone to battalion HQ between races. Already an operationally experienced company commander, Kemmis Betty took seriously his deployment to defend the town of Alor Star at the extreme north of Malaya’s west coast. The one thing the British high command got right in what turned out to be a disastrous campaign was the expectation that the Japanese would supplement their invasion of Malaya’s east coast with an attack through southern Thailand down the west coast. Kemmis Betty’s company bore the full brunt of this when the enemy crossed the frontier on December 12, 1941. The defence was overwhelmed and a largely chaotic British withdrawal ensued. The overriding advantage held by the enemy was close support from the Japanese naval “Zero” fighter aircraft that bombed and strafed the British and Indian troops with impunity, the RAF “Brewster Buffaloes” being outclassed and out-manoeuvred by the Japanese pilots. The 11th Indian Division withdrew down the western arm of the Malay railway, mounting delaying actions on the few features that favoured defence. The Japanese attacked with tanks, of which the defending force had none on the false assumption that they were unusable in jungle terrain. Kemmis Betty held a vital bridge long enough for our own troops to cross, and then blew it up successfully. In 1945 he received the Military Cross for his courage in this action. As they waited in position on the Bukit Timah road, 2/2nd GR received the devastating news that no further resistance was to be offered. Singapore Island was to surrender. The Goorkha officers in particular found the order incomprehensible, as their ethos was attack and never to submit. Yet it had to be done and the 17-mile march to the prison camp at Changi began. There the officers were separated from the men and Kemmis Betty’s work on the life-supporting vegetable patch commenced. Peter Kemmis Betty was born in London in 1916, the son of Colonel Hubert Kemmis Betty, and educated at Bradfield College. On release from imprisonment in 1945, he went first to the 2nd Goorkhas’ base at Dehra Dun in India, then home for some leave. At a party in Camberley, Surrey, he met Gemma St Maur, who had served briefly as secretary to the head of MI6 towards the end of the war. The attraction was mutual and instant, resulting in Gemma rejecting an elegant cavalry officer on whom her parents had provisionally set their sights. The couple were married in 1947; the bride was hurried off for a honeymoon in Davos and introduced to the 15km Parsenn run on her second day on the slopes. So began a strong and loving partnership that lasted until Gemma’s death in 1999. Subsequently he could never mention her name without a crack in his voice. They had three sons: Richard, who served in the Queen’s Own Hussars and is now a sales director for the Campina (food and drink) company; Charlie, a marketing consultant; and David, who served 15 years in the Black Watch and currently works for Control Risks in Pakistan. Peter and Gemma Kemmis Betty sailed for the Far East. Serving in Malaya during the 12-year communist emergency, he occasionally emerged from the jungle to take part in an amateur dramatics production. Returning from a late-night party in Hong Kong, he inadvertently drove their car off the road. 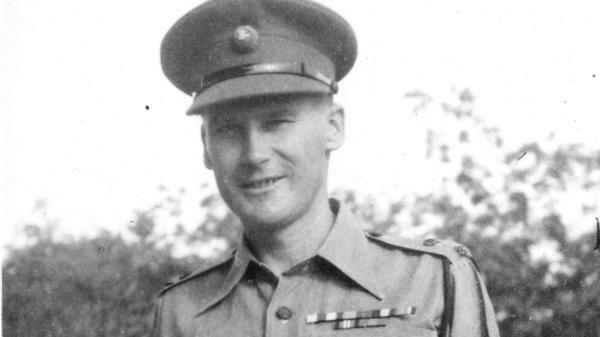 He was unhurt but Gemma suffered several broken ribs and a punctured lung — her life was saved only by the prompt action of the 2/2nd GR’s young National Service doctor, later the surgeon Sir Roy Caine. Returning for home leave in 1954, the couple were on board the troopship Empire Windrush when she caught fire in the Mediterranean. The evacuation was orderly, women and children taken off in the lifeboats first. The seven-month-old Charlie Kemmis Betty was tossed like a rugby ball by a sailor on board to another in a lifeboat below. An attempt was made by the Royal Navy’s frigate HMS Enard Bay to tow the Windrush to Gibraltar, but she sank in bad weather. Four of her crew died in the incident that caused the fire but all 1,276 passengers were saved. Virtually all the Kemmis Bettys’ personal possessions were lost as he had not expected to return the Far East. In fact he did — to command his beloved 2/2nd Goorkhas in Malaya from 1958 to 1960 — and was mentioned in dispatches. In 1964 he was appointed military attaché in Kathmandu, a post that allowed an even closer connection with the Nepalese hill men who had been such a binding influence throughout his life. Trekking in the hills accompanied by their two elder boys, the couple paused to talk to pensioners and their families, while the local children marvelled at the two white boys with blond hair. After leaving the army in 1971, Kemmis Betty became the secretary of the Army Ski Association. The sport had been a passion since that first holiday in Château d’Oex, and he skied until he was 87. He also played golf to a single-figure handicap until the same year. A man who took pleasure in old and new friendships, Kemmis Betty was never heard to complain about life.